War Horse is galloping across the U.S. in its first national tour. Broadway.com recently headed into rehearsals to talk to the cast and creative team about bringing this inspiring tale to life. 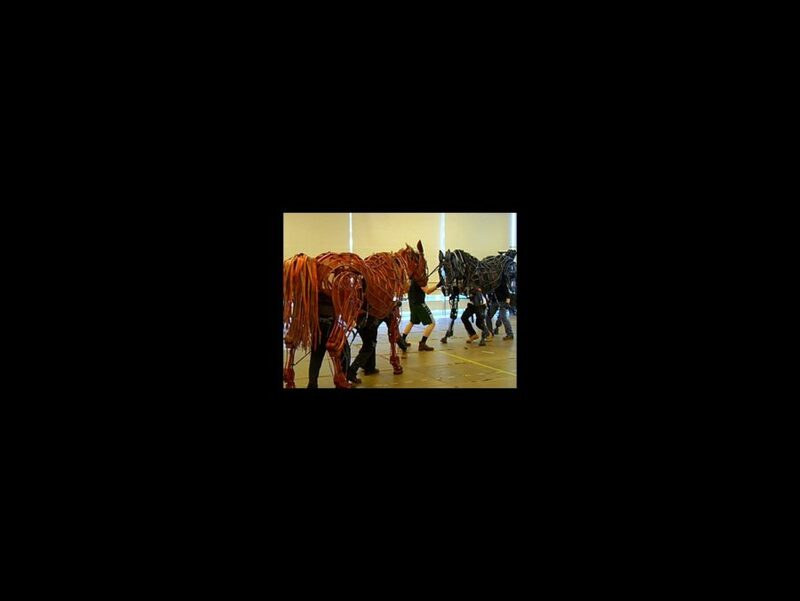 Click the video below to see Handspring Puppet Company creators Basil Jones and Adrian Kohler talk about designing the award-winning horse puppets and Andrew Veenstra, who plays Albert, discuss bringing this epic story to the stage. The puppeteers that animate lead horse Joey even demonstrate their best horse sound effects for our camera. Get a sneak peek at this Tony Award-winning play, then get your tickets to see War Horse on tour at the Boston Opera House from October 10 through October 21.